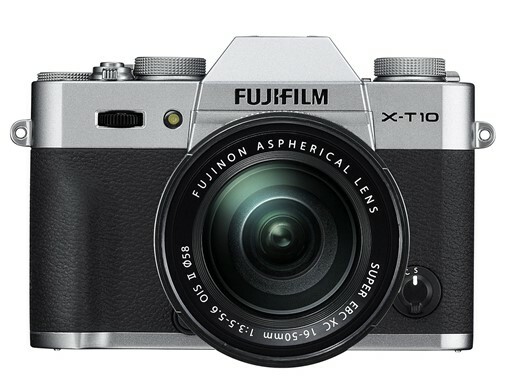 The Fujifilm X-T10 is one of the cameras to gain Raw support in this update. Adobe has released the latest iterations of its Camera Raw plug-in and DNG converter software. In addition to adding support for more cameras and lenses, a number of useful new features have been added. The first new feature is a 'dehaze' function that gives users a slider to remove - or add - the amount of haze or fog in an image. Next up are local adjustment sliders for whites and blacks, with gradiant filters, radiant filters, a an adjustment brush being the available tools for selecting the areas in the image that you wish to retouch. Owners of X-Trans-based Fujifilm cameras will be happy to learn that Adobe has reduced 'color blur' artifacts that could appear in photos. Adobe says that the two companies are continuing to collaborate on improving image quality in other areas. Finally, there's more support for a wide selection of cameras and lenses, as well as several bug fixes. Camera Raw 9.1 is now available through the update mechanism in Photoshop CS6 and Photoshop CC. As mentioned here, updates to Camera Raw for Photoshop CS6 only include new camera support, lens profile support, and bug fixes. The new features listed in the release notes are only available in Photoshop CC. Many outdoor scenes have some amount of haze due to atmospheric conditions. Dehaze is a new feature for removing/adding haze and fog from pictures. The user can control how much haze to remove by adjusting a new slider in the Effects panel in the Dehaze section. This feature can also be used in the other direction to increase the amount of haze. Recommended Workflow – Adjust the white balance of the image before applying the Dehaze control. Useful for fine-tuning tonality near the brightest and darkest parts of the picture. For instance, they can be used to increase the contrast of highlights. Recommended Workflow – Make your global adjustments first and then use the local adjustments to fine tune. Use the clip warning indicator to help avoid clipping highlights and shadows. *Preliminary support. The multi-shot Pixel Shift Resolution and HDR features are still under investigation. Reduced “color blur” artifacts when processing Fujifilm X-Trans raw images. In collaboration with Fujifilm, we are still investigating methods to improve fine detail rendering and overall edge definition. The “Remove Chromatic Aberration” checkbox is now enabled by default for all Fujifilm cameras. Fixed crash when reading some JPEG images. Fixed bug where Camera Raw Filter would incorrectly show a soft-proofed image. Improved quality of display color management on some wide-gamut displays when GPU acceleration is enabled. HDR and Pano Merge: Cleared in-camera crop before merging rather than destructively applying it prior to merging. Pano Merge: Fixed a Pano blending issue specific to Leica M9. Fixed a bug with Panasonic LX100 – extended ISO 100 was too bright and Magenta Highlights have been fixed. Fixed a bug with Nikon Coolpix P7800 NRW raw files that showed only Matrix as camera profile. Camera Raw 9 – Please use the update mechanism in Photoshop CS6 and Creative Cloud app. I like get also dierctly in a Lightroom 5, I don't think can be a problem if they want!!! The debate function is certainly worth any kind of money! Well, maybe not if you like how your pics look now. I have always used a bit of sharpening to get rid of bayer processing induced softness. This kind of dehaze was done previously with a layer mask. That mask required different settings for different size images. The new dehaze does this on the fly. A low setting improves even detail contrast in studio portraits without artifacts. Every time Adobe is mentioned on this forum it’s like throwing petrol on the barbecue. For me the features that have been introduced into Photoshop CC would not be enough to temp me to an upgrade let alone jump ship to a subscription. I will continue to sail the Photoshop 6 ship for as long as it stays afloat. The subscription model is great for businesses. If you are making good profits it’s a steal. For those who have no existing software it is a good option in the short term. But for those who have existing software I think the features being offered are not that tempting. @razadaz: "But for those who have existing software I think the features being offered are not that tempting." In contrast, I like the subscription model, and I like the steady trickle of improvements and new features. (I subscribed to the full CC before "CC (2014)", so I've seen 2 large CC-wide upgrades plus lots of smaller changes). I'm just pointing out that the people who like, rather than hate, the CC model are not limited to businesses and people who make money from photography. I'm a pensioner and get no income from what I use Adobe CC for. I respect your opinion for you and lots of others. But accept that there are people in possession of the same facts and plenty of CC-experience who have the opposite opinion. I never used the word hate or like. I merely stated that in my opinion the advantages were not that impressive. I have worked with photoshop for over twenty years. I actually have cc installed on one of my computers. I also have two fully licensed copies of CS6 on two others. I will not be renewing the subscription on the CC because I do not feel it is worth it. I offer that opinion as other people might find it interesting. Adobe is clearly planning a subscription based future so the argument about this model is really an academic exercise now. I could not agree more razadaz. In fact, topaz and macphun have created incredibly useful plugins/stand alones that make photographic life lots of fun. Part of the benefit of the subscription model always was on going and more frequent updates and faster development of new features which the subscription helps pay for. Getting New features like dehaze right away is one of the benefits you are buying with your subscription. Choosing to buy the standalone LR 6 is choosing to accept the old model where you pay slightly less in the long run but only get major feature updates every couple of years with a new major release. It's basically like the CC never existed which is what many complaining would apparently prefer anyway so I really dont' see what they're complaining about. Not only do you pay less in the long run. The long run exists if you stop paying. That's what "they" are complaining about; there being no "long run" absent long pay. Sure there are useful improvements to software, but they're rarely needed immediately, there are raw extraction exceptions to this rule, sometimes these "improvements" don't work or introduce other bugs and problems. And sometimes they're just stupid, see here the MS Office ribbon. Some people are reporting big problems with Photoshop CC's current update. And Adobe DNG Converter 9.1 has caused me trouble. Well if the dont' like the subscription model that's fine. I'm sure LR 7 will have the dehaze. Adobe is giving people a choice between sticking with the old stand alone release model and getting the new stuff at the major version releases as they always have or going with the subscription model and paying a little more for constant, on going updates to major features that are available when they are done instead of waiting for the next major version release. That's all it is. Nothing to get excited about or feel cheated about. People can just chose what they prefer. If you stick with the stand alone version, Nothing has really changed for you except now you get to see what will be coming in the next release much earlier because the people on the subscription who paid for the pleasure and very likely most of the development costs already have it. If Adobe were actually giving people the choice, the choice would be between rental of Photoshop and license purchase. "Cheated", no, annoyed at the idea of software dying if I don't pay. But I've not paid for the rental of CC, so that software failure can't occur in my situation. "stand alone" doesn't mean what you think. And one can't just wait to pay for a license to Photoshop CS7. Then I have no idea what Adobe's plans for LR 7 are. IF you don't use LR why are you even replying? I am talking about the people below complaining dehaze isn't being added LR 6. Your major complaint about the CC is that if you stop paying the monthly fee you lose the software. Well considering how cheap it is I am having a real hard time imagining a scenario where that would happen. I mean if you are in the financial position of cancelling a $9.95 subscription, you likely have more important things to worry about and are in the "sell cameras for food and to pay bills" mode anyway. Really most people spend more a month on coffee, sodas, snacks ect. This "if I dont' pay I lose it stuff" is a non issue for anyone who has the budget for the cameras, computers, internet connection, ect to use the software with in the first place. Because your original post was about the subscription model. And this whole webpage is about the release of ACR 9.1--not simply about what CC Lightroom has and LR 6 doesn't. It's not simply $9.95 per month, it's approximately $120 per year to be able to edit your photos. My $150 investment in the upgrade from PS CS5 to PS CS6 in the fall of 2012 costs a lot less, and will run for as long as the hardware works. Coffee doesn't last for years, nor snacks, coffee makers do last for years provided electricity, so you've grossly misrepresented things to make your argument. Just so you get this, there are a lot of free ways of using your own computer on the internet. You literately can't talk about the differences between LR and LR CC without out talking about the subscription model because it is the reasons there are differences. What you dont' seem to grasp is the continued support and updates to software are not free. They cost Adobe money. The subscription model allows them increased revenue to do things like, not take 6 months to support new cameras in ACR, add features faster, and provide people with software that is always up to date instead of having to wait months to release it all at once. My comparison to coffee was to show how trivial the cost of the CC subscription is and how easy it is to pay for it. It is simply not realistic to think someone who is into photography and has money for all the gear that goes with it will have to stop paying for the CC for any other reason than a catastrophic life event that is very unlikely and will probably put a stop to their photography all together anyway. "What you dont' seem to grasp is the continued support and updates to software are not free." Duh, and that's why I'm willing to pay for upgrades, but I'm not willing to pay to keep currently running software running, there's a huge difference. Once Adobe chooses to not supply new ACR updates for CS6, I may very well choose different raw extraction software. Or not if I don't plan on trying new cameras, but in either case Photoshop CS6 will still work. The coffee maker continues to work for years provided electricity. Stop with the misdirection of claiming I don't expect to put money into Adobe for updates, you're getting real close to invention there (the polite term). I'm not going to keep putting money into Adobe to keep currently working software working. I'm not going to keep putting money into Adobe to keep currently working software working. You completely misunderstand the CC model. It is not the same as having a CS6 License where you keep the software forever and it doesn't really change. You aren't paying to keep using the same software. You are paying for rapid updates. Think of it like every year adobe releases a new version of PS and LR for $120 instead of a monthly fee. That is basically all it is except instead of having to wait, you pay though out the year so you get the updates and new features as soon as they are available. It is really not any different then buying upgrades. You just pay for and get the new stuff as it's done instead of having to wait for one release with all of it in there and adobe gets to develop new features knowing they are paid for instead of having to hope in a shrinking market enough people will buy the upgrade to cover it when it comes out. It's Win/Win. No, Josh, you're paying to keep the software working, and then separately you get updates a bit faster, well maybe, that's what is claimed but may not be true. "Think of it like every year adobe releases a new version of PS and LR for $120 instead of a monthly fee." And with this the software continues to work if you don't buy the latest. You need to stop misrepresenting things. There remains a huge difference. Also regarding big updates to any piece of software, no one in his right mind just jumps at them. Anyone doing them sets up a way back out, in case the update causes a mess. I'm not misrepresenting things, you are. The subscription model has allowed Adobe to offer more frequent updates and add features quicker. You are getting something for the extra money. It is not just paying to keep it working. That is an undeniable fact. Again it cost money to add features, fix bugs, ect. Instead of having to eat those costs up front and then make people wait for incremental updates every few years, with the constant revenue stream Adobe can now develop and add things much quicker and with much less finical risk. The customer gets updates more frequent and always has the most up to date software. Again it's win/win. Unless you're a miser who wont pay $10 per month on a hobby you love or on critical software for your business or have irrational fears about losing the software if you stop paying as if that is a likely scenario. It is clear there is no point in wasting time responding to you anymore. You will all see the CC as a scam even though it's not. You continue to post lies about a false equivalence, for example "win/win" is a lie. It is NOT simply $10 per month for support, this is another lie you keep repeating. It is $10 per month for software use. You're doing Adobe CC no favors by posting these lies. I haven't lied or been caught at anything, most especially not by you. The only thing that has happened is your complete and utter bias on this has been exposed so you had to resort to calling me a liar. Adobe has always said one of the benefits of the CC would be more frequent updates and not having to wait for the next major release to get new features and they are making good on it for the most part. It is the constant revenue stream from the subscriptions that allows that to happen and that allows them to do things like continue to support and add ACR 9.1 to old software like PS CS6. Again if you already had PS it more expensive but you are getting something extra for your money. If you never had PS before it will be 4-5 years before it is even AS expensive let alone more. It is a win/win for many people. That is a fact. But since you have resorted to baseless accusations of lying and seem to be quite angry over it, it's time to end my side of this discussion. Yes Josh you have been caught, and you've done it repeatedly on the same subject. I suggest you look up the term "baseless", technically if you know the definition you've lied again. You're free to quote what Adobe claims the "benefits" of CC are, but that's not the lie you been telling. You see, you've changed your tune now that you've been called out. Avoid the "win/win" thing too, it just reads like Adobe marketing garbage. I haven told a single lie. PERIOD. The only thing I have been saying the whole time is that part of the benefits and value the extra cost of the CC gets you are faster updates and access to new features. That's it and it is true. Undeniably so. Unless you want to deny observable reality and common sense. I have never changed my tune on anything. It really is a waste of time since you will always deny the reality for your bias. Yes, you have continued with the false equivalence for far too long. CC and CS are far from the same in every regard, except faster updates with CC. And this is the lie you keep putting out there. What you call a "benefit" may not be to some people, but that's an entirely different line of this discussion. I have never said CC and CS were the same in every regard except the the faster updates. Never, not once. Since the CC has been updated several time since CS6 I didn't' think I had to point out they weren't same anymore. I thought it would be obvious. My mistake. My posts are about the differences in the pricing model and what benefits the subscription model has for the consumer and stared out being bout LR only. I was never trying to compare the differences between PS CS6 and PS CC as software, just the pricing models. No Josh, you posts aren't simply about differences in the pricing "model". Your posts ignore huge differences. Sorry but you can't tell me what my post are, or aren't' about. Maybe you would like to list some of the huge differences that my posts "ignored" and we can discuss those, but again my posts were only about the pricing and the benefits the subscription model has for both Adobe and their customers. When you keep ignoring this huge difference and claiming something that isn't, yes I can tell you that your posts are lies. CC the software dies completely if you stop paying. CS the software works as long as the hardware works, which could be 25 years. Only if you use "benefits" ironically are your posts about benefits of the CC system. There are huge real benefits to the CS system. So if I could pay the same price as in the US then I would be subscribing (event if it would be against everything I believe in), but outside the US Adobe charges somewhat more. In Europe it is around 12€ pm., which is 13.62$ with the current exchange rate. the model where I buy the software I can wait until it fits the budget to get it. They could raise the upgrade price to exactly the same price as CC cost - well you cannot get only LR with CC *), but they would never dream about it, CC is a revenu stream, and a good one. *) if you look at it, I for example only have interst in LR, I got no use of PS. But if I pay my 12€ pm. for CC I also get PS which would mean that I pay for something I'd probably never use. So if Adobe would introduce a CC subscription with only LR which should cost around $4 (6€) pm. then I'd probably sign up - but I'd probably still want to pay for LR as a standalone product as I do seriously not trust them. "When you keep ignoring this huge difference and claiming something that isn't, yes I can tell you that your posts are lies." My posts don't have any lies. You lose credibility every time you say that they do. "CC the software dies completely if you stop paying." I have already addressed this and explained why it is a non issue to you, twice. "CS the software works as long as the hardware works, which could be 25 years." So? that is only an advantage if you plan on using software that is 2.5 decades old which is not realistic for most people. Again This is just the same as your whole "it stops working if you don't pay" argument. Your fears about the CC are based on very unlikely scenarios where some one who has a bunch of expensive photo gear is somehow so poor that they keep the same out dated software for decades or will suddenly not be able to afford $9.95 a month. It is simply not realistic. "Only if you use "benefits" ironically are your posts about benefits of the CC system." I have clearly explained the benefits. Again you bias shines through as you wont' accept there are any benefits to going with the CC. You know the CC is bad and that's that. Pure emotional bias. "There are huge real benefits to the CS system." I have already addressed and discredited the only one that you can come up with, that you can keep using it without a monthly fee. The whole keep using it for 25 years thing is just another way to say the same argument. Honestly it's clear you just dislike the idea of a monthly fee for software on an emotional level and will never think it is anything but wholly and completely bad. We are at the point where we should just agree to disagree. The fact that you call dying software a "non-issue" is effectively a lie. You have not clearly explained the "benefits", you contorted yourself into justifications--aka more lying. You have done nothing to discredit the advantage of the CS system over the CC system, for the end user--so another lie. 25 years was picked to make the point that the CS system will work effectively forever, that one would not use it for that amount of time, because better systems would come along is a different issue. I don't simply "dislike the idea of a monthly fee", I detest the idea of software that dies if you don't pay. There's a big difference. Stop lying to yourself about what I've pointed out here. Again I never lied and I was very clear about the benefits and why losing the software if you dont' pay for it is a non-issue. You just refuse to accept them. Also you just lost the last of your credibility by calling me a liar yet again when I've very clearly never lied. You just refuse to accept my arguments. That's not the same as me lying. The simple fact is your only two arguments against the CC are based on scenarios like someone who can afford hundreds, or more likely thousands, in camera equipment having to cancel a $9.95 per month subscription or someone wanting to use the same out dated software for years and years and never wanting to buy the new version. Both of which are not realistic for the vast,vast majority of potential and current CC subscribers. I'm not going to keep re-hashing it since we will just keeping going around and around about it. Again will have to agree to disagree. Only if you use "benefits" ironically are you telling the truth. You got caught, and you don't like it. Too bad. "The simple fact is your only two arguments against the CC are based on scenarios like someone who can afford hundreds, or more likely thousands, in camera equipment having to cancel a $9.95 per month subscription or someone wanting to use the same out dated software for years and years and never wanting to buy the new version. Both of which are not realistic for the vast,vast majority of potential and current CC subscribers." These are not my arguments, these are arguments you've claimed I'd make, this is another form of lying on your part. This is not "re-hashing" you keep repeating lies, and are going to get called on it. Don't pretend this is a simple disagreement of you preferring the CC model and me the other. After I upgraded to Photoshop CC (2015), I found I had ACR 8.0! I reloaded Windows, then found that the CC App now identified another update to Photoshop. This time I got ACR 9.1. Adobe CC 2015 is having a number of install problems with Error 21. I haven't been able to install it on my Win7-64bit-SP1 desktop machine after many tries. The Adobe help community shows a number of others having a similar problem with Errror 21. None of the guidance provided so far by Adobe solves the problem. Strangely, the update installs without a hitch on my laptop with the same Win7 setup. I tried to uninstall Adobe CC to try a fresh install as recommended by others, but Windows won't let me uninstall. Ugh. Do you have a system restore point to go back to? On my Win 7 machine, Adobe DNG 9.1 converter appears to have caused a system crash during my first attempt at install. Not counting some hardware failures which were fixed, this is only the second crash on this machine 4 years. I reverted the drive and then installation took forever, but did work. No problems on my Win 10 clone with DNG Converter 9.1. Have no answers about PhotoShop CC. My update to Camera Raw 9.1 within PhotoShop CS6 went normally and smoothly. For future reference, and Windows only, check out RollbackRX. It's much more powerful revert software than Windows' System Restore, and now there's a free version of Rollback 10, which allows the creation of 5 or 6 restore points that you choose. The only drawback is that restart times increase if you've set up a point after the addition of big files. Websearch the name to find the company: It's something like Horizon Data Systems, but a search of "RollbackRX" is faster. Don't know what to say. Reverted my Win 7 machine (with Rollback) and redid for the third time the install of DNG converter 9.1 and it took a massively long time, on the order of 10 minutes. All consumers have to do is stop buying Adobe products. Every company listens to revenue based messages. I fear there are simply too few folks who will stop using the products. But I like the CC plan! Obviously I won't stop. I've read recently that there are nearly 5 million people using CC. (I don't know how many of those actually prefer it). I'm not arguing that everyone should like CC. I'm sure lots of people will never like it! But I am saying that there isn't a consensus against it. And my reading is that Adobe's shareholders like it because it is a more consistent revenue stream, so it is almost certainly here to stay. The CC photography plan is a great deal. Sure if you already had PS it's a little more expensive but you are getting something for the extra money and if you never had PS before it will be like 5 -7 years before it starts costing you more than just buying PS out right. Considering there would be at least one or two upgrades in that time, it very well could be that it will never be more expensive. What Adobe has done is allowed many people who would never be customers to buy the software while at the same time making it more profitable and shedding some low profit/high cost costumers who only upgraded every other release or every third release but still expect bug fixes and updates for their old software. I really don't see why $9.95 a month to always have the latest and greats version of the industry standard pro photo software is such a burden for someone who loves photography enough to have hundreds or thousands in photo gear. From what I am hearing and seeing so far it still looks like Photo Ninja will be the way I have to go for developing Xtrans files for the foreseeable future. But it is very heartening that Adobe is working with Fuji on future improvements down the line. Rawtherapee is the best for X-Trans I've seen so far. Give it a try, it's free. Oh really? Everybody worries about correct X-Trans development and wow, that's it. RawTherapee is a solution. Lol. Yes Miric, have you tried it? It's much better than anything else that I've tried out there. Yes, the free Rawtherapee is excellent for many Xtrans raws--particularly the ones from APSC Fuji bodies, so only very good for the X30's files. I have no idea if Rawtherapee is better than the current version of CaptureOne, but it's good software. It can be a pain to use, and with Windows 7 it doesn't always want to see the entire photo library, so you'll have to force it to open RAF files with right click. The library invisibility thing may depend on if you've logged on as a system administration at installation time. Thanks cgarrard for the suggestion, I will try it out before making any decisions. And thank you also for your thoughtful and through review of the Fuji x30. Welcome!! :) I still need to pub part II-oye ! Time time time- its not on my side... not it aint! OK, I see it is only available in CC and not CS6. Why would you expect them to update CS6? You decided that the technology of 2012-2013 is enough for you so live with it!! Simply running check for updates in CS6 will find the update to Camera Raw 9.1. Camera Raw 9.X is being updated for CS6. PhotoShop CS6 will reman significant photo editing software for years to come--even sans De Haze. Does anyone know where to find the dehaze feature in CS6? It's not there. It is CS6 not PS CC. I have LR6 standalone. The updater is a bundle serving both LRCC and LR6, which is mildly confusing at first glance. I updated to LR6.1. There is no sign of a 'de-haze' tool, so it seems that standalone customers just get the bug fixes and new camera and lens supports - which isn't nothing. Adobe are only making it available for LR CC. Totally pathetic and you can see they will try any dirty trick to get you to subscribe. yup trix indeed... not helping the company, must think their target market are void of brain matter. Maybe they figure if you buy the stand alone version instead of paying less than you probably spend on coffee and sodas in a month for the CC version of both LR and PS, you're fine with the old model of waiting until LR 7 to get the new major features. Oh, great - I bought the stand-alone LR 6 (a program that's just two months old!) two days ago and now there's an update that the cloud version will get but I won't. Is that the kind of support I paid €129 for?! Pathetic. Maybe DPR would mind picking this up for an article. The Lightroom version usually comes out a little after the PS one. No, there was a LR update just today, it didn't include dehaze or local black/white point adjustments, and Adobe explicitly stated that these features will only be included in the LR CC update. You were told when LR6 was released that you would not get updates. Pointless moaning about it after you purchased it. And when and where exactly was I told that? Sometimes you can't live your life under a rock. This was widely publicized. I didn't see that either when I purchased LR6 standalone. Matt, why don't you tell us where you saw this? Thx. at the moment adobe launched "the cloud" there was a lot of talk about this subject all over the web. Also, adobe specifically said that the cloud version will get features added as they are developed, and so on, but this will not be added to standalone versions of LR. There are updates for the standalone versions, of course (like camera support, bug fixes, etc) but not "new features". If you think a little about it it is like it always worked, the (important) new features were added in new versions. With CC (as they said) it's a continuous update, like an ongoing version update, accordingly to your ongoing payment :). When (and if) LR7 standalone will be released , it will have these new features as well. That's fine I wouldn't mind that if that were the case, but the free ACR 9.1 gets the new features and we LR 6 standalone customers don't that's ludicrous! ACR 9.1 only gets the new features if you're a CC customer running PS CC 2015; if you're running CS6 then you *don't* get the new features, only camera updates and bug fixes - exactly the same situation as with LR6 versus the new features only being available in LR CC. I still don't like the direction that Adobe is going, I don't like the idea of renting software! I love using Lightroom and I'm sad because I believe LR6 is going to be the last version that can be purchase to own! Yes, but only CC. Total joke. Read my reply above. It's not a "joke" or "no joke". it is just their new policy. But the support features were added to LR standalone as well. He didn't say it wasn't a new policy, he said it was a total joke. And it is. So... we're keeping shush about the subscription-only updates? That's not a major news item? To little to late, between Iridient Developer, Photoninja, Photomechanic and Affinity Photo Beta, Adobe is becoming obsolete in my photo workflow. Thanks Adobe! Affinity Designer is excellent! It's speed Illustrator could only dream. Does Affinity Designer do raw extraction? Answer: It doesn't and it's Mac only. If you read the comment you would see I was pointing out alternatives to Adobe that work quite nicely just as Clownish was. He pointed out photo programs and I added my opinion of Affinity's vector program, hence the written comparison to Illustrator. Let me know if you need help with any other comprehension issues you may have. Okay, I read Affinity Design as the end of the list of raw extraction programs. Albeit, I'm not sure that Photomechanic is an extraction program. And I guess Affinity Photo Beta is a separate extraction program. See Photo Ninja and the Mac only Iridient are both only extraction programs. So best to divide up things like that. But I guess it's not solely your list. Also, Illustrator isn't entirely irrelevant, but mostly the Adobe photo editor called PhotoShop is the Adobe software used to edit photos. Look there are plenty of good inexpensive photo editors: Paintshop for example. There's the good freeware, GIMP and Paint.NET. Not one of those has PhotoShop's Selective Colour, and that's just a feature of PhotoShop that I use. I'm sure there are others. A workflow of 4 programs? Would any one know if this is compatible with Mac 10.9.5 OS X? So, after all this time Adobe finally decides to improve X-Trans support? I am beside myself - don't know what else to say. well... actually they didn't ... they just fixed a bug and "they continue to work with fujifilm" on that. If it was easy for Adobe to support X trans better they would. After all it would only mean more sales. It is also in Fuji's best interest for LR/ACR to work well with their files since it is the most used raw developer and the industry standard. Clearly there is some technical problems they are having trouble over coming. Josh, I have trouble believing most of this. I think the reason Phase One handled X-Trans much better out of the gate is because they care, and because they have a smaller team of expert engineers that's nearly free of bureaucracy. I suspect Adobe's problems are almost everything BUT technical. Also, the little guy (Phase One) can identify with another little guy (Fuji) - especially one who also devotes itself to innovation and quality. This is excellent news for Fuji shooters. Actual acknowledgement that the issue is worth "working" on together....and improving.